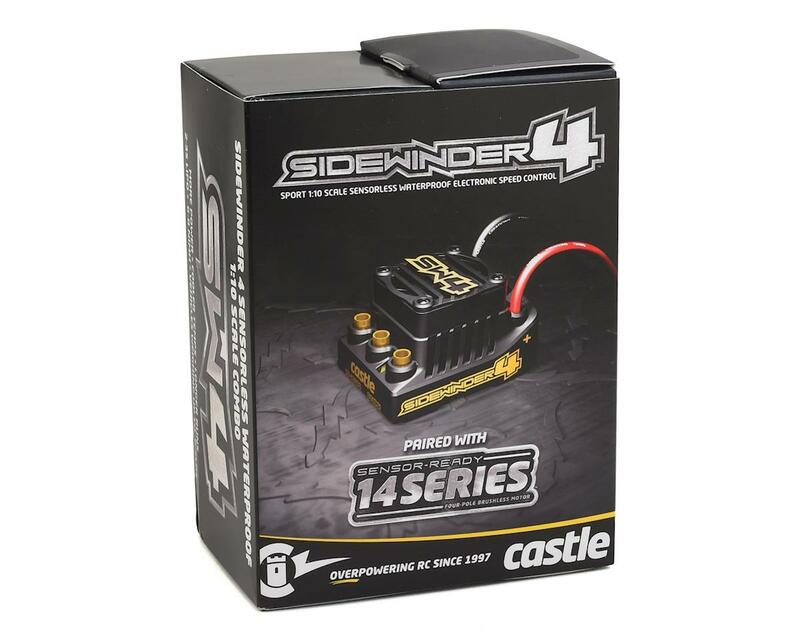 The Castle Sidewinder SV4 12.6V Waterproof 1/10 ESC builds upon Castle’s most popular platform, the Sidewinder 1/10 series. The ESC is the first of its kind to run Castle’s CRYO-DRIVE technology that combines technology from cutting-edge hardware and software advancements to increase thermal performance. Cooler temps mean longer runs and more power! The Sidewinder 4 is a versatile ESC and is a great choice for short course, on road and monster truck applications when paired with the correct motor, as well as rock crawlers when used in brushed mode. 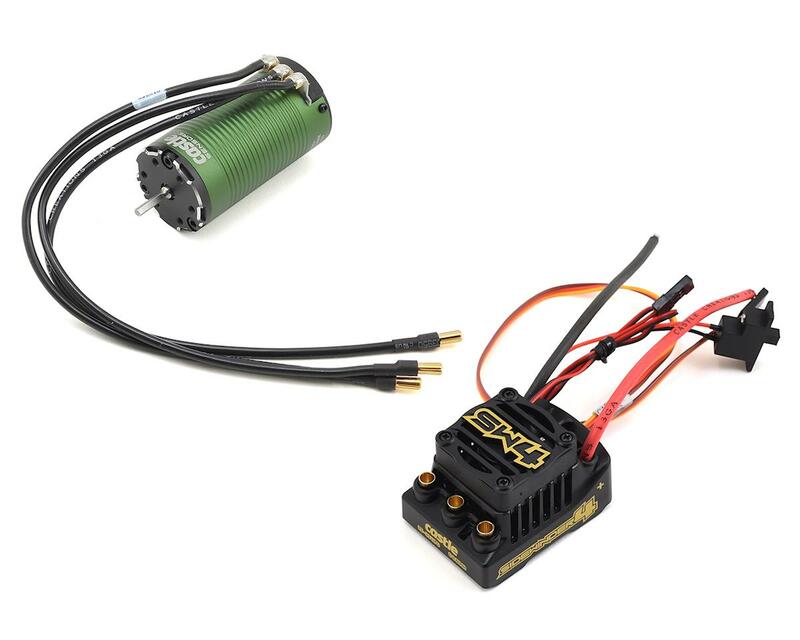 This combo includes a Sidewinder 4 ESC and 1415-2400Kv sensored motor. The 1415-2400kv is ideal for short course trucks running on 3s LiPo and weighing up to 6.5 lbs; it can be run on a 2s LiPo but will be very slow. It is a cool running torque animal for lighter 1/10th scale 2WD stadium trucks and buggies running on a 3s LiPo. BEC Specifications: 5.0 volts fixed, 2 amps. Connectors: 4mm female bullets for motor connection. 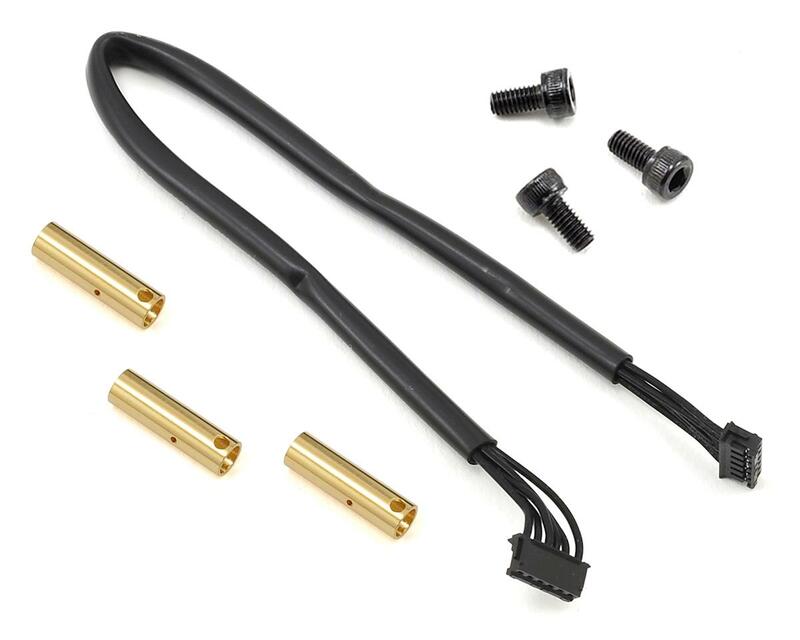 Items Needed for Operation: Brushless or Brushed motor, Battery Connector required; Castle 4mm polarized connectors, Dean's Ultra Plug, or Traxxas Power Connector recommended. Application Guidelines: The Sidewinder 4 is a versatile ESC that can be used in a wide variety of applications. it can be paired with any 14xx series 4-pole brushless motors; it can also be used in a rock crawling application with a brushed motor down to a 19 turn. Max. Recommended Vehicle Weight: No more than 6.5lbs with battery, ready-to-run. 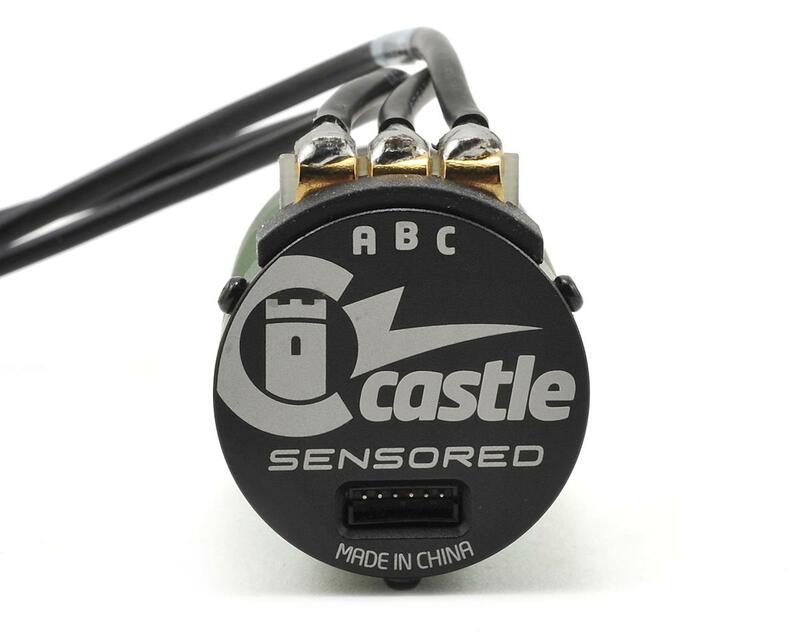 Programmability: Fully programmable Castle feature set using Castle Link USB adapter (sold separately) and freely downloadable Castle Link Windows software. *Product Use Statements: Although Sidewinder 4 is waterproof, it is not intended for operation while completely submerged in liquid. They can corrode when exposed to corrosive materials, such as salt water. Always rinse the ESC with clean water after exposure to corrosives or dirt. While the controller may be waterproof, Castle recommends users confirm that the rest of their vehicle, including the batteries, servos, radio and chassis are also waterproof before exposing them to liquids of any kind. Not all LiPos are created equal, and surge ratings should never be used to determine a pack’s suitability for a brushless application. Use the CONTINUOUS C rating only. Brushless setups frequently hit 100+ amps in peaks. Castle strongly suggests using 5,000mAh or larger LiPo cells with a discharge rating of at least 30C (or high quality 25C batteries). Castle suggests using only mild gear ratios with NiMH cells. Do not attempt to use NiMH cells in extreme setups. Please refer to the Castle Gearing Chart for recommended motor, battery and gearing for some of the more popular vehicles on the market.